In today’s competitive real estate market, finding and keeping top producing agents is as challenging as it is crucial to success. Hiring the best and then creating a supportive environment for them to flourish in is the key to having the best in the business. You need to develop a clear strategy and focus on the things that appeal to today’s agents. Think through your hiring process, create a plan, then stick to the plan. Top producing real estate agents have more options than the average agent, so finding them and getting them to come on board will take more than a Craigslist ad. The hiring process of today is a two way street—it’s just as important that you demonstrate the value of your firm as it is to look for value in your candidates. What are your strengths as a company? What do you offer? And what do you need from your next hire? Answering these questions is the beginning of your hiring strategy. With baby boomers rapidly moving out of the workforce, millennials are quickly becoming both the workforce of today and of tomorrow. Predictions say they will grow to comprise 75% of the workforce in the next ten years. Creating a culture and environment that appeals to this generation is key to getting and keeping those top producers. Understanding what millennials expect and how they contribute will help you better define your office and your hiring strategy. 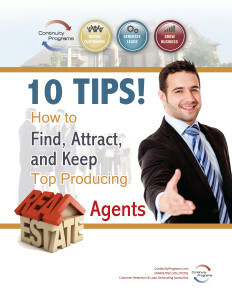 Developing your strategy for how to hire and keep top producing real estate agents requires some thought and research. In an interview with RealtyTimes.com, real estate recruiting expert, Judy LaDeur, says that most brokers should spend time getting positioned to find the best recruits, rather than just making calls and setting up interviews. To help you get started, we’ve compiled 10 Tips! 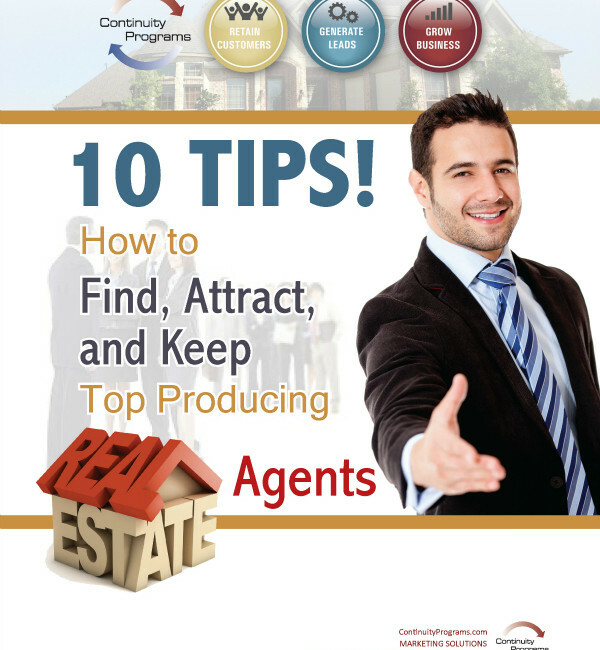 How to Find, Attract, and Keep Top Producing Real Estate Agents. Check out our advice with these ten powerful tips to help you build and keep a top producing team. Great Post about choosing the real estate agent. Thanks for sharing.